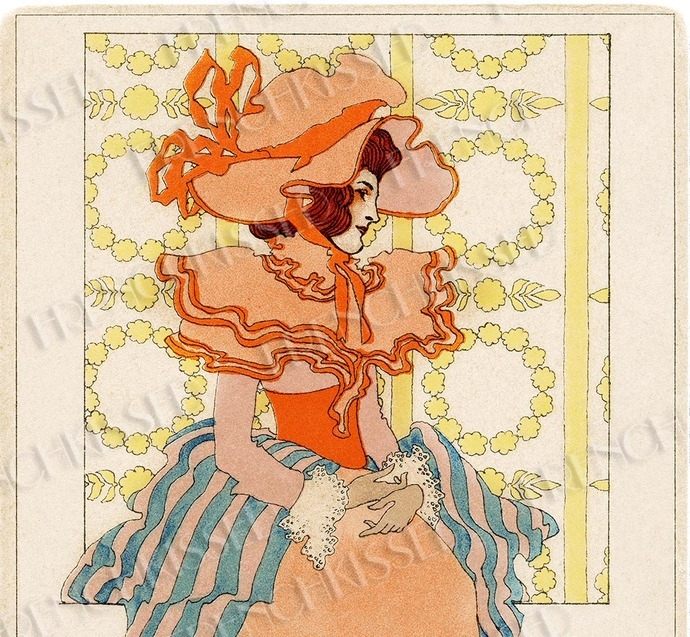 This is one in a series of antique postcards featuring ladies in fashions like this with beaucoup de lace and ruffles. My original postcard is unused with a divided back, which dates it to 1903 or earlier. 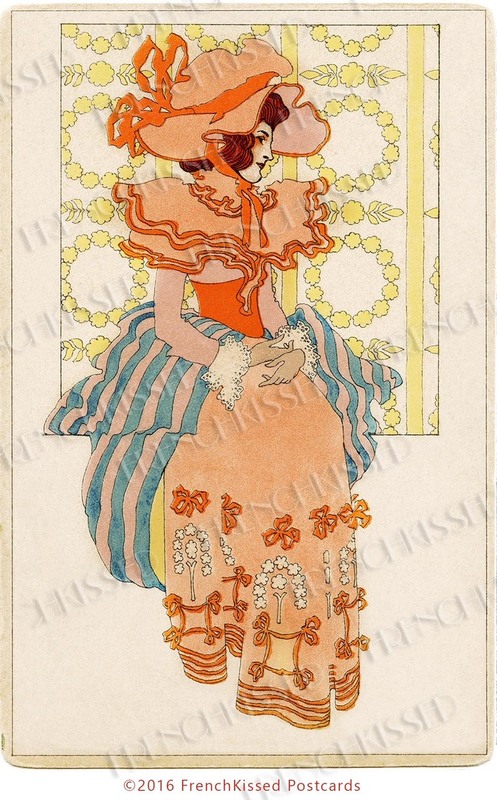 Art nouveau overtones with the lovely pale yellow design in the background. Produced by the M.M. Vienne company in Austria, you'll see that this card was painted by hand. The paint goes outside the lines a lot! I cleaned up some of the excess paint but I also left parts of the image just like my original card to retain that authentic, antique hand painted look!